Herbert Sutcliffe was an English professional cricketer who played for England in International Cricket. In First-Class cricket, he played for Yorkshire. He with Jack Hobbs were a great opening pair for England. In First Class cricket, he enjoyed even more success at opening the innings for Yorkshire. He has a total of 145 century stands for the opening wicket with different parteners. In 1924, Herbert made his Test debut against South Africa at Edgbaston. He opened the inning with Jack Hobbs and made 64 runs. In the second test, he scored a century. In his next series of Australian Tour, he enjoyed more success by scoring 734 runs in 5 Test Matches. He kept on making good scores. One of the best innings was in 1926 Ashes, when in the final test he played a wonderul knock 161 in the England's 1st innings. In the famous Bodyline series, he made his highest test score of 194 in the First test. Apart from that innings, his best score in rest of the 4 matches is 86. In 1934, against Australia he scored 304 runs in 4 tests. Sutcliffe scored 16 centuries in Test cricket and his batting average is more than 60 in 54 Tests he played for England. He was a run machine for the England, as he has the record of scoring fastest 1000 runs (in 12 innings) and second fastest to reach 4000 runs (in 68 innings). Herbert has scored more than 50,000 runs in first-class cricket and 6th among the list of most number of first-class runs. He is also 5th among scoring most number of centuries in first-class cricket. He started playing first-class cricket for Yorkshire in 1919 and scored 1839 runs in 31 Matches of the season. He scored more than 1000 runs in each English season he played. In 1928, he scored more than 3000 runs in the season. His batting also helps Yorkshire to won County Championship 12 times during his career. Herbert has been a regular member of the Yorkshire and regarded as a great opening batsman, mostly with his opening partener Percy Holmes. The pair has opened the innings for the team in 15 seasons and has made 74 century partenerships. He was partenered with Jack Hobbs and Len Hutton. 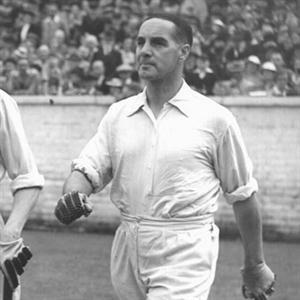 Herbert Sutcliffe last played a first-class match in 1945 against Royal Air Force team.